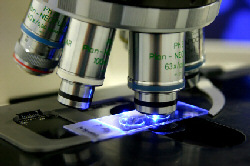 Summary: Specimen preparation is a crucial aspect of electron microscopy. Electron microscopy is an important field that has given humanity glimpses into the natural realm that would not otherwise be possible. Using this technique, we can observe nearly any organic species in its natural element at extremely close angles. However, some preparation is required for the specimen to properly appear. PVD coating, for example, can be used to coat the specimen in what is essentially a replica of its skin. An electron microscope uses a focused beam of electrons as a light source to take a picture like a camera. This beam would destroy whatever object it touched unless that object underwent some form of preparation to be suitable. When studying nanoparticles, or very fine biologic material, a negative stain can be used to help distinguish colors and provide vision. But what if you want to study a bee? The solution involves a magnetron sputtering system. The specimen undergoes what is called “metal shadowing”, which basically creates a metal shell of the object in question. Because the metals used measure mere microns in thickness, the basic shape and integrity of the specimen remains intact. Think of it like spray painting metal onto an object. Because this process occurs in a vacuum, the specimen does not get damaged because the metal is never hot enough to melt or destroy it. Because the image is returned in grayscale, the operator notices nearly no difference. It’s only afterward that color is applied, if at all. In most cases, scientists are more interested in studying structure than color. Bio: Denton Vacuum, LLC has manufactured e-beam evaporation machinery for more than 50 years.